Twelve pro-independence politicians and activists will face a trial for the October 2017 referendum and the declaration of independence in the coming weeks – nine of them are in pre-trial jail. They face a proposed 177-year prison sentence altogether proposed by the public prosecutor, for charges like rebellion, misuse of funds, and disobedience. Most of them have already handed in their statements of defense, meaning that their arguments faced with the allegations have already been released. Each display distinctive features, better understood with seven key points for understanding the main ideas of the defenses. The trial will be political and there has been a "judicial persecution" of the pro-independence ideology, according to some of the statements. 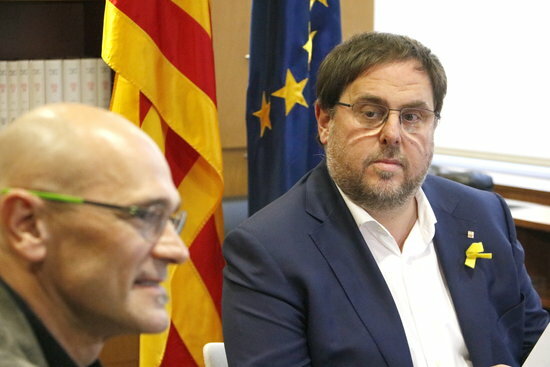 Former ministers Junqueras and Romeva say the inquiry "has been tainted with illicitness from the beginning, managed with total disdain of the fundamental rights of the people under investigation, and faced a disproportionate secrecy in summary proceedings." Activist Jordi Cuixart denounces the "suspension of civil and political, democratic rights" in order to "protect Spain's unity." The former parliament speaker Carme Forcadell thinks the Spanish Constitutional Court was a "political actor in the Catalan conflict." The prosecuted leaders coincide in defending the “peaceful” nature of the pro-independence movement since its sharp rise in 2012. 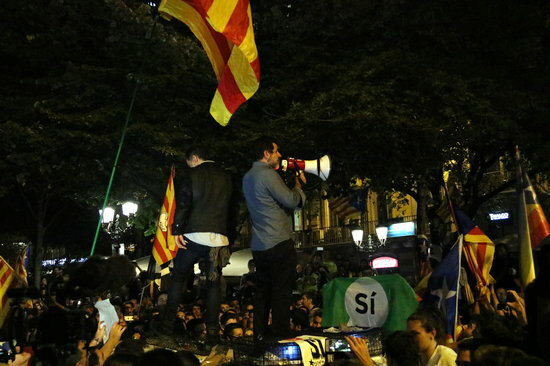 The Spanish police raids in public buildings to stop the referendum on September 20, 2017, sparked major protests, which led to the jailing of Cuixart and fellow activist Jordi Sànchez. They both reject the rallies having been "hostile or violent." 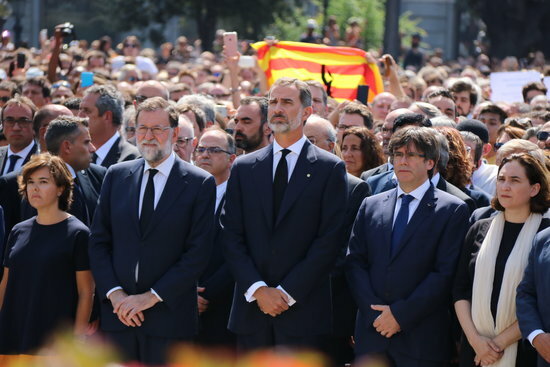 Sànchez says he "showed collaboration with the judicial team" that whole day, while Cuixart points out he "made explicit calls to show civic and peaceful behavior" on September 20. He regrets damages to some police cars, but believes they were "much less serious" than the ones in other gatherings of any kind. Yet the fact that Spanish police officers left weapons in the vehicles "grabs the attention" of Sànchez. Most of the prosecuted leaders also highlight that the only ones exercising violence on October 1 were the Spanish police officers. One of the most controversial points in the trial is set to be the supposed lack of action by the Catalan police to stop the October 1 independence referendum. "The politician responsible [for the Catalan police] did not interfere in any operative decisions," reads the statement of defense by former home affairs minister Joaquim Forn. "Voting can never be a crime, and it is not, according to the Spanish criminal code." Forn also denies any "under-funding" to the police for the referendum, and brings up remarks he had made in the run-up to October 1, in which he had pledged to abide by the Spanish judiciary decisions. Four weeks after the referendum, the Catalan parliament declared independence, which prompted the Spanish judiciary criminal lawsuits; these also were brought against the chamber speaker for allowing this, and other related votes. 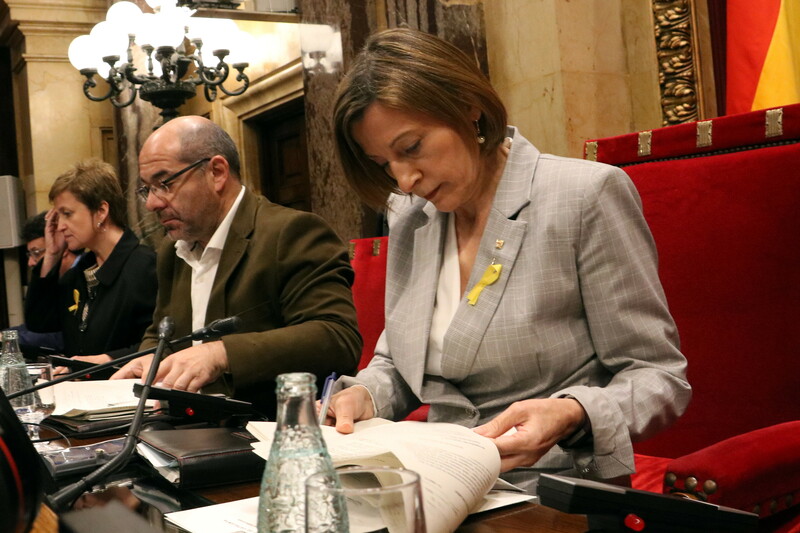 "The Spanish Constitutional Court decided what could be discussed about and what could not," states former speaker Carme Forcadell in her statement of defense. This, in her view, in turn violated "the guarantee of the parliamentary immunity." She further says she always complied with "her obligation to preserve the right to freedom of speech and political representation of MPs and her duty to facilitate the political debate" in parliament. None of the former ministers admit having committed misuse of funds while organizing the referendum in their departments. For instance Santi Vila, who stepped down the day before the declaration of independence, said that not a euro of public money was spent on the vote. Both former minister Meritxell Borràs and Vila remind that starting summer of 2017, the Catalan government issued weekly expenses reports to Spain – so Madrid knew all details of the public spending in Catalonia. The witnesses are set to play a key role for defendants. Over a hundred people have been named to speak before the court, but they have to be accepted or rejected by the Supreme Court. The Spanish King Felipe, as well as Spain and Catalonia's former presidents Mariano Rajoy and Carles Puigdemont are some of the top names requested, such as by jailed MPs Jordi Turull, Josep Rull, and Jordi Sànchez. Other former Spanish ministers and Spanish police heads have also been named, along with some officers of both Spain's and Catalonia's law enforcement and some Catalan MPs. Former parliament bureau members and other officials are also part of the proposed witnesses. The independence referendum was legal: this is another conclusion of the some 1,000 pages containing the several statements of defense. Junqueras and Romeva say "voting can never be a crime, and it is not, according to the Spanish criminal code." "There is no justification to keeping the population from finding out the level of citizen's support for a relevant political declaration," they add, referring to the referendum. 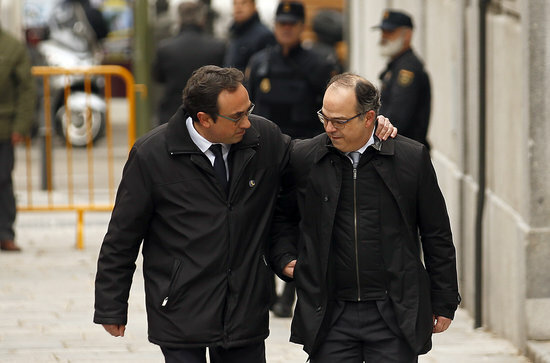 Both ministers, along with the rest of leaders, reject the rebellion allegations for this reason –Rull, Turull and Sànchez say this is "the first rebellion in humanity's history which has its leaders, but not people." They wonder ironically whether "an uproar formed by only nine people is imaginable." All prosecuted leaders reject all charges, and ask for their acquittal. And to achieve this, all they need to do is to convince the court in the nearing trial, which is expected to last for months.